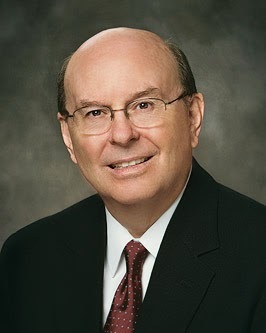 Elder Quentin L. Cook (1940- ) was called as a Seventy in 1996, then as a member of the Quorum of Twelve Apostles in 2007. "One of the remarkable characteristics of young wild sunflowers, in addition to growing in soil that is not hospitable, is how the young flower bud follows the sun across the sky. In doing so, it receives life-sustaining energy before bursting forth in its glorious yellow color. "Our protections in this life and for eternity will be in individual and family righteousness, Church ordinances, and following the Savior. This is our refuge from the storm. For those who feel they are alone, you can stand resolutely in righteousness knowing that the Atonement will protect and bless you beyond your ability to fully understand. 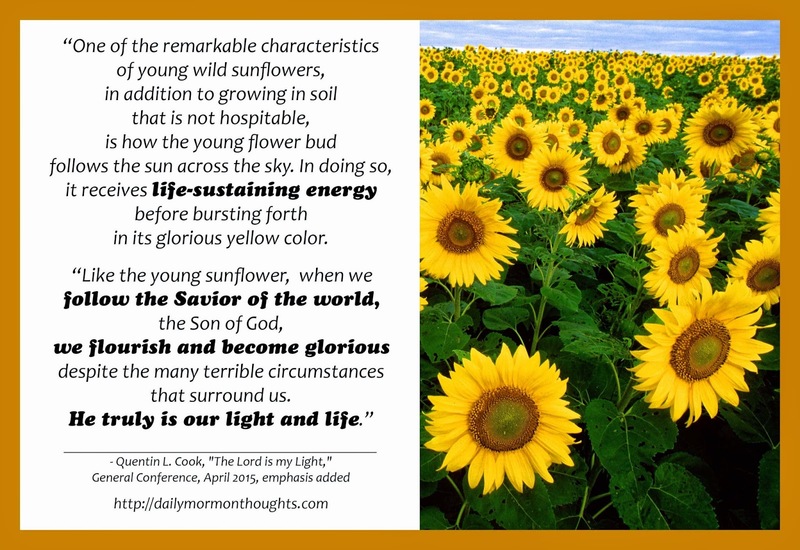 "We should remember the Savior, keep our covenants, and follow the Son of God as the young sunflower follows the sunshine. Following His light and example will bring us joy, happiness, and peace." This is not a new analogy, but it's a useful one. We need to make sure we are focused on the Son. And the more we keep turned toward Him, facing Him fully, the more light and strength we receive. Following the sun brings growth and nourishment to the plant. Following the Son will bring man "joy, happiness, and peace."